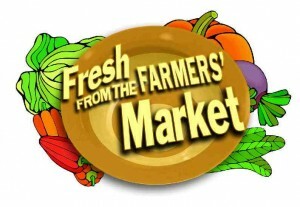 With all the rain and sunshine, Kenny said we need to go the farmers market again this weekend. The greens are getting out of control so we’ll be there! As always we will have mixed lettuce greens, kale, spinach, mustard greens, brazing mix and more beet greens. Asparagus should be plentiful as well as spring onions, we may even have a few more bunches of radishes. The chickens are loving this spring weather as well and are mass producing, giving us plenty of eggs to bring to market. We hope your enjoyed our “crazy chicken” sale last week and plan to bring it back soon. Kenny also believes it’s about time to start planting… he will be bringing a variety of tomato and pepper plants. I will have herbs available for your gardens and patio areas. Herbs will include… parsley, sage, thyme, cilantro, mint, basil, oregano and rosemary. Just a reminder, we have plenty of our homemade and preserved items available. E-mail me for any additional information or to place an order~ val@russellveggies.com.